Founded in 1980, starting in a single car garage, Townsend Signs has grown into to our present 8000 sq. ft. office and manufacturing facility by providing quality products and outstanding customer service from design through installation and service. We realize that a sign is the most effective and cost conscious medium for communicating with all who pass by. We provide complete professional services from inception through the life of the sign including not only manufacturing a requested sign, and installing it, but consulting, marketing, maintenance, and operational assistance to insure maximum value to the client throughout the life of the sign. Our client list includes national chains; restaurants, banks, real estate companies, hotels and motels, gas stations, etc., as well as regional and local concerns; shopping centers, retail stores, restaurants, motels, medical offices, governments, auto dealers, churchs, and many more. Our products include dimensional lettering, monument, pylon and pole signs, channel letter wall signs, neon, electronic led digital message centers and displays, architectural signage and graphics, and other custom displays. 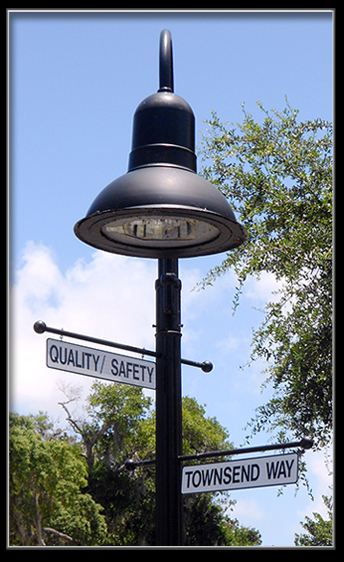 We provide permitting, installation, sign and lighting services for major national companies as well as our individual clients. Contact us for all of your signage needs in Daytona Beach, Port Orange, Ormond Beach, the entire Central Florida area, and beyond. channel letters and wall signs, neon and LED signs, Daytona Beach, Port Orange, Ormond Beach or Volusia County area.